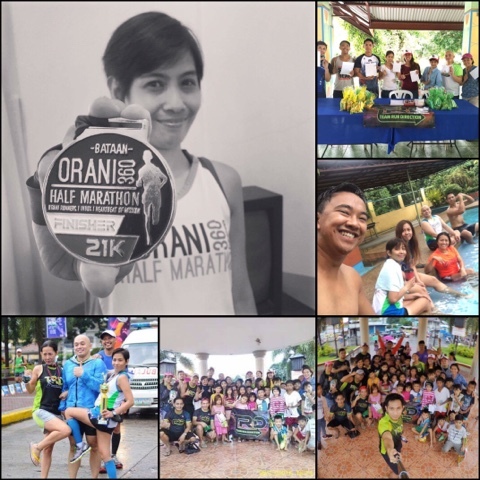 Unstoppable rain, floods, traffic, and storm warning signals... these are the things that threatened the Orani Half-Marathon 2016. Because of these occurrences, runners like yours truly thought twice not pursuing the run in Bataan. And yes because of these, my mother wasn't anymore allowed me to go to Bataan. 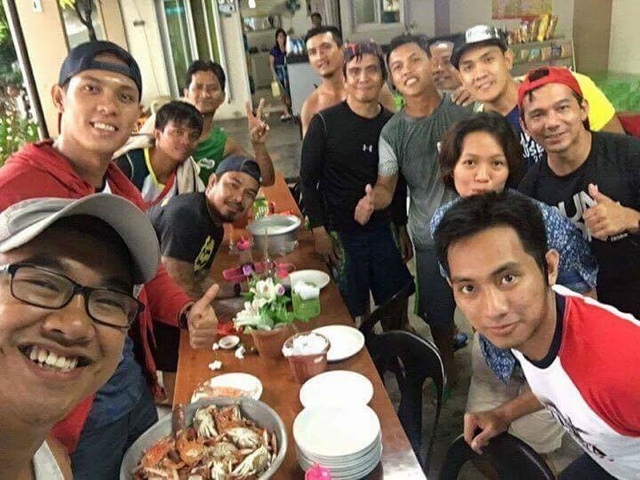 Runner Rocky's supposed to be first half-marathon in Orani, Bataan was not anymore pursued! But my running group, the Team Run Direction took the courage to surpass the storm. With their determination to run and to help, they were able to successfully surpassed the challenges of a rainy Saturday morning. And one of my friends and teammates Ms. Raegina Atienza Galera or mom Rej (for short) shared her inspiring story in this event. The Group Enjoyed a Happy Lunch with "Alimango" and "Binurong Kanin!" Thunderstorm since Monday until Saturday, I can't hide the feelings I am worried and anxious if the event will push through or not. I kept on praying to give us fine weather on Sunday. With heavy rains and thunderstorm we travelled from Manila to Orani, Bataan. Nothing will stop me to run in my first ever 21K marathon. At last we arrived in Orani safely. 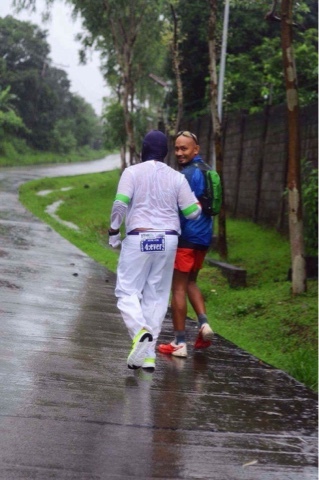 It was awesome and we felt right that moment the warmed welcome of Orani runners. Since it was cold we need to get warmed, we headed to the small carinderia and ate the yummy Batangas Goto and Lomi Special and to our surprised the Orani Team prepared a delicious lunch for us alimango and the binurong kanin - maximum carboloading. After our lunch we headed to Vista Verde where we made our reservation. We prepared ourselves for the next activity the Lapis at Papel Project of Teacher Amz Albano in cooperation with Team Run Direction. 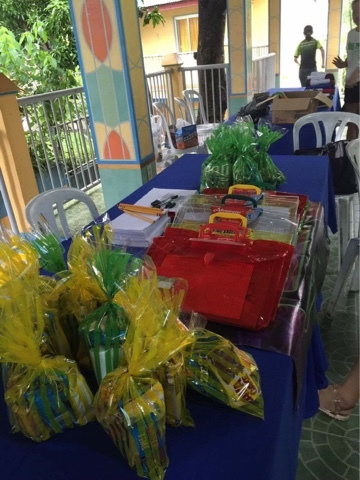 It was successful, we were expecting it will be around 10-20 kids but it turned out a total of 35 kids. All were given foods, singlets and freebies and we had this "alamusa". And the most awaited day has come August 14, 2016 Orani 360 Half Marathon - Everyone's ready and me - i am anxious, nervous and excited at last "this is it!". I decided not to compete but to enjoy the route, the beauty of Orani. Me, Amz and Lee enjoyed the scenery and made a joyful run-walk-walk pace with the Sweeper Fer De Leon. There where we met the Pacer Forever Ayeng Justine Ko with his Team Hugot. And from that moment the #benteserye fever started. That Thing Called #Benteserye - May Forever Sa Orani! 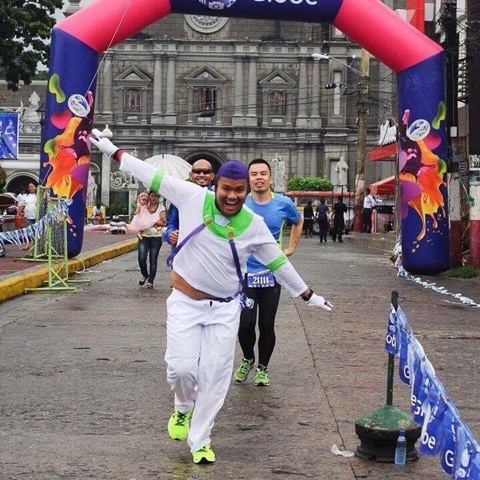 Happiness Filled the Finish Line! Approaching the Finish Line we hear them cheering and all the cameras are on us. It was an epic finish for the three of us. The time was not impressive but the experience and the memory of Orani 360 will remain in my heart forever. #mayforeversaOrani360 #benteserye. Thanks for sharing your story Mom Rej! This really made me missed those interesting moments in the event. But glad that you really had fun at the same time, you were able to help the students amidst of the heavy rain. Will definitely won't miss it next time! Are you Ready to Run with these #Gwapulis? !